TODOS LOS CASCOS VIENEN EN SU CAJA CONOR WRC .CONOR SACA EL MEJOR CASCO CALIDAD-PRECIO PARA COMPETIR CON LAS MEJORES MARCAS DEL SECTOR PERO CON MEJOR PRECIO. SEGURIDAD: LOS CASCOS WRC ESTAN FABRICADOS CON LA TECNOLOGIA IN-MOLD POR LA CUAL LA CARCASA EXTERIOR Y EL POLIPROPILENO SE FUNDEN EN UNA SOLA PIEZA AUMENTANDO DE ESTE MODO LA RESISTENCIA CON LOS IMPACTOS Y MEJORANDO LA DISTRIBUCION DE LA ENERGIA EN CASO DE IMPACTO. 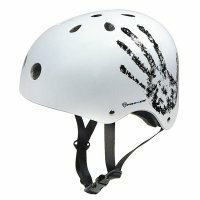 VENTILACION WRC HA DESARROLLADO EL SISTEMA "DUAL FLOW" CON GRANDES TOMAS DE AIRE FRONTAL QUE COMUNICAN CON LARGOS ORIFICIOS DE VENTILACION EN LA PARTE TRASERA DEL CASCO FAVORECIENDO ASI UN FLUJO CONSTANTE DE AIRE.